Enzyme activities are commonly measured in lab assays at a single standard temperature, which does not provide any information on their temperature sensitivity. Temperature is one of the primary controls on enzyme activities, yet few studies have explored how temperature drives enzyme activities in the environment. The temperature sensitivity of enzyme activity is controlled by the structure and conformation of the isoenzymes that constitute an environmental enzyme pool as well as physical and chemical interactions with soil minerals, clays, and organic matter. Yet, these complex relationships are typically represented by a simple Q 10 of 2. 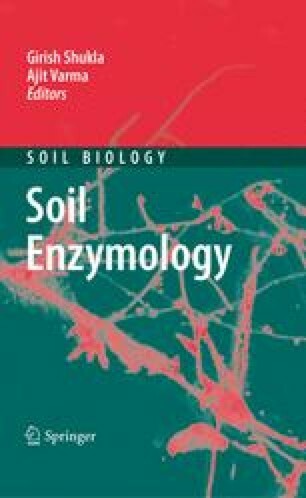 There is sufficient evidence to suggest that even for the same enzyme class, temperature sensitivities vary between soils, and even seasonally in a single site. We will explore the controls on enzyme temperature sensitivity and their importance for understanding seasonal patterns in soil processes and their potential responses to global change.